BRUNSWICK, MD, August 30, 2018 — Marquis Who's Who, the world's premier publisher of biographical profiles, is proud to present John Frazier Glenn PhD with the Albert Nelson Marquis Lifetime Achievement Award. An accomplished listee, Dr. Glenn celebrates many years' experience in his professional network, and has been noted for achievements, leadership qualities, and the credentials and successes he has accrued in his field. As in all Marquis Who's Who biographical volumes, individuals profiled are selected on the basis of current reference value. Factors such as position, noteworthy accomplishments, visibility, and prominence in a field are all taken into account during the selection process. With over 40 years of experience in the medical research and development field, Dr. Glenn has worked in every area from “bench science” to senior leadership of programs and organizations. He has demonstrated expertise in electrophysiological research, animal and human use review, partnership negotiations, and assessment of technology readiness levels as well as management at every level. Dr. Glenn served for 30 years on active duty in the United States Army Medical Service Corps until he retired as a colonel in 2004. In the ten years prior to his retirement from the U.S. Army Senior Executive Service in 2015, he served as the Principal Assistant for Research & Technology for the U.S. Army Medical Research and Materiel Command at Fort Detrick MD, with oversight of all medical science and technology programs and the Command's world-wide laboratory system. He was a research associate professor at the School of Medicine at Georgetown University during his transition from uniformed to civilian Army service. Currently, he is an independent medical R&D consultant doing business as an associate with MBO Partners Inc. of Herndon, VA.
For most of his active duty military career he worked within the United States Army Medical Research and Materiel Command, including positions as the Deputy for Research and Development from 2000 to 2004, the Director of Plans, Programs, Analysis and Evaluation from 1998 to 2000 and the Executive Assistant to the Commander from 1992 to 1996. From 1989 to 1992, he was the Deputy Commander at the United States Army Institute of Environmental Medicine in Natick, MA. The year prior, he was the Technology Staff Officer for Medical Research at the Department of the Army Headquarters in the Office of the Assistant Secretary of the Army for Research, Development and Acquisition at the Pentagon in Washington, D.C. In 1987, while assigned to the United States Army Medical Materiel Development Activity at Fort Detrick, MD, Dr. Glenn was appointed the liaison officer for the Program Executive Officer for Combat Medical Systems with duties in the Pentagon. He was part of the team that drafted the first iteration of the Department of Defense Directive 5000 series acquisition policies and considers his time at the Pentagon to be what sparked his long and successful career. From 1986 to 1987, he was a staff officer in the Medical Chemical Defense Research Program at the Headquarters for the United States Army Medical Research and Development Command. 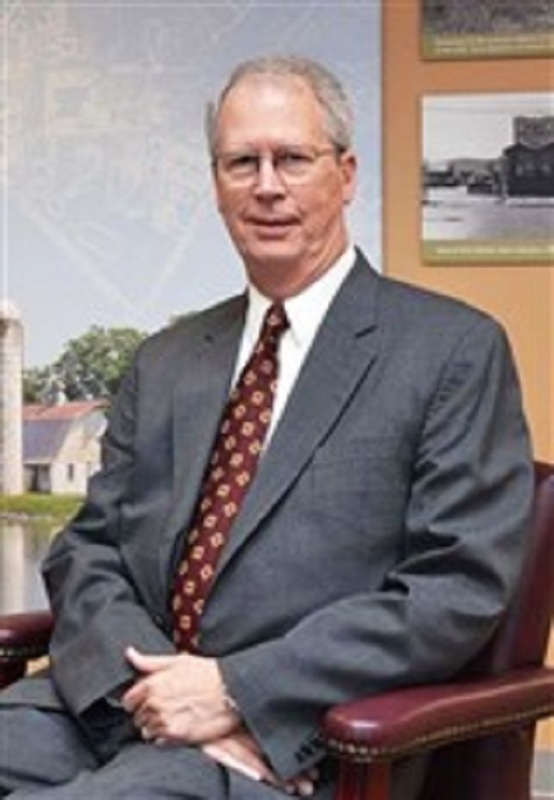 From 1982 to 1986, Dr. Glenn held the position of Chief of the Neurotoxicology Branch at the United States Army Medical Research Institute of Chemical Defense in Aberdeen Proving Ground, MD. Prior to these appointments, he was the deputy chief in the Neurotoxicology and Experimental Therapeutics Branch from 1981 to 1982 and a research psychologist in the same branch and division from 1980 to 1981. From 1975 to 1979, he was a research psychologist at the Behavioral Research Directorate in the United States Army Human Engineering Laboratory in Aberdeen Proving Ground, MD. Other roles Dr. Glenn has held include being appointed as the Director of the United States Army Medical Research and Materiel Command where he was the senior flag officer in charge during the interim between commanding generals in 2009. He also was a member of the United States Delegation of the North Atlantic Treaty Organization in the Human Factors and Medicine Panel from 2006 to 2014, and was the U.S. Principal Member from 2007 to 2014. In 2008, he was appointed by the Army Acquisition Executive as a milestone decision authority for medical programs of record. Dr. Glenn became a member of the United States Army Acquisition Corps in 2004. From 1998 to 2015, Dr. Glenn participated in the United States Army Small Business Innovative Research Program as the technical area coordinator for medical and human systems research. From 2010 to 2015, he was a member of the Program Integration Advisory Committee for the Defense Health Research and Development Program. Additionally, he was a command representative to the Armed Services Biomedical Research, Evaluation and Management Committee and Community of Interest from 1992 to 2015. Furthermore, in 2008, Dr. Glenn led staff support for the Guidance for the Development of the Force study on medical research that led to an increase of more than $1.9 billion in funding for the Defense Health Program R&D in the 2010 Program Objective Memorandum. In 2007, Dr. Glenn was a member of the Source Selection Advisory Board for the Objective Force Warrior Technology Integration Contract at the Natick Soldier Center in Natick, MA. The year prior, he was a government advisor to the Defense Science Board Task Force Summer Study on Homeland Defense against Biological Warfare from 2000 to 2001. Additionally, Dr. Glenn was the chairman of the Institutional Review Board for Human Subjects in Research for the United States Army from 1992 to 1995 and the scientific review committee at the Research Institute of Environmental Medicine from 1990 to 1992. From 1986 to 1987, he was a staff coordinator at the joint working group on chemical agent exposure criteria. Dr. Glenn authored, co-authored or edited more than 40 professional publications, and presented to a wide variety of academic, military, government and foreign groups during his career. Examples of these works include the definitive publication demonstrating the primary central action of nerve agent induced respiratory arrest, “Central Respiratory Effects vs. Neuromuscular Actions of Nerve Agents” in 1986, the primary environmental medicine preventive guidance provided to troops deploying to Desert Shield and Desert Storm, “Sustaining Health and Performance in the Desert” in 1990, and more recently was co-author on a publication describing a new integrated measure of vital signs, “The Compensatory Reserve for Early and Accurate Prediction of Hemodynamic Compromise” in 2016. Before entering the field, Dr. Glenn pursued academics at the University of North Carolina in Chapel Hill, NC where he earned a Bachelor of Arts in 1969. He continued his studies at Duke University in Durham, NC, where he received a Master of Arts in 1970. Ultimately, he obtained a Doctor of Philosophy in biological psychology from Duke University in 1975. For all of his accomplishments throughout his impressive career, Dr. Glenn earned numerous military awards and decorations including the Legion of Merit (2 awards), the Meritorious Service Medal (3 awards), the Army Commendation Medal (4 awards), the Army Achievement Medal (2 awards) and the Order of the Military Medical Merit. He also received civilian awards from the United States Army, including the Meritorious Civilian Service Award and the Decoration for Exceptional Civilian Service. Dr. Glenn was awarded the Human Factors and Medicine Panel Excellence Award by the Science and Technology Organizations of NATO for his service from 2006 to 2014, the Colonel Mark L. Hoke Fort Detrick Distinguished Service Award in 2016 and was an honoree at the 8th Annual Major Jonathan Letterman Medical Excellence Awards in 2015. Despite these impressive awards, he finds that his greatest achievement in life is his family. In his retirement, he is thrilled to have the opportunity to spend more time with his wife, Cheryl, and his three daughters and grandchildren. In recognition of outstanding contributions to his profession and the Marquis Who's Who community, John Frazier Glenn has been featured on the Albert Nelson Marquis Lifetime Achievement website. Please visit www.ltachievers.com for more information about this honor.